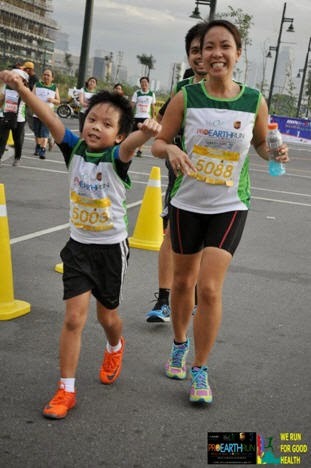 More than 5,000 running enthusiasts heeded the call of Earth Day Network Philippines to protect, respect, and oversee the sensible and sustainable care of Mother Earth as they sprinted around Bonifacio Global City for the "Pro‐Earth Run" Saturday morning. 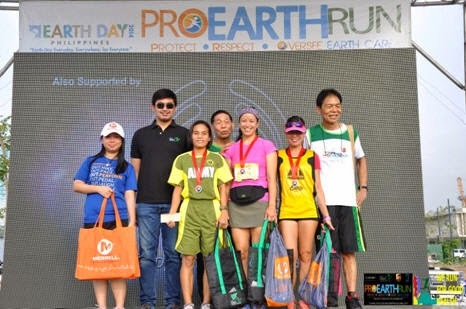 Earth Day Network Philippines President Bert Guevarra said the fun run is a kick‐off activity for the 2014 Earth Day Celebration on April 22, 2014. "We want to promote earth day everyday, everywhere for everyone. We must have a conscious effort to take good care of our environment everyday," Guevarra said. The Earth Day Network Philippines, a non‐profit, non‐stock corporation, leads more than two thousand (2,000) entities from different sectors of the Philippines that work towards environmental protection and conservation. 10K Pro Earth Runners warming up before gun start. The pro‐earth runners inched and raced one another to the finish line of the 10‐km, 5‐ km, and 3‐km categories. There was also a 1.5‐km run for childrendubbed "Run with Doraemon." The Earth Day Network ambassador Doraemon, with his friends Nobita and Shizuka, also graced the event and entertained the runners before sending them off the starting track. 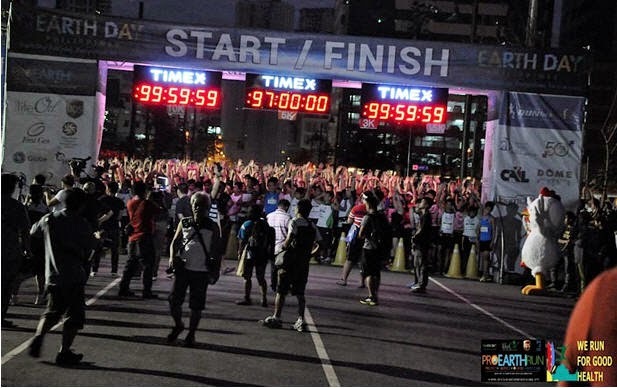 The pro‐earth run was presented by LifeOil, 100% pure Malunggay extract, and United Parcel Services or UPS. Carlo Lugtu, executive vice president of Manila Nature’s Link Corporation, the maker of LifeOil, shared that "LifeOilenergizes people with active lifestyle, including runners, by replenishing the energy they lose during physically demanding activities. " "Malunggay oil extract, aside from increasing energy, also strengthens the immune system, manages sugar level, and has Vitamin D," Lugtu added. Among those who joined the fun run were celebrities from GMA Artist Center. They said they participated in the event not only because they want to stay fit but also because the run was for a good cause. Philippines’ board members with Top 3 5K female finishers. Starstruck alumnus Steve Silva tweeted "WE DID IT! #5k #ProEarthRun kickoff event for the worldwide celebration of Earth Day on April 22"
Staged by Huper International, the Pro‐Earth Run was also sponsored by the Philippine Charity Sweeptakes Office, First Gen, Energy Development Corporation, Globe, Holcim, Animation International – Philippines, Informatics, Merrell, Lumsense, The Body Shop Peppermint Leg Spray, St. Luke’s Medical Center, Timex, Gardenia, Greenlite Banner, Gold’s Gym, Integrated Waste Management, Inc., Empire East, Union Bank, and Haribon Foundation.